Walking the red carpet in Sacramento, activist and broadcast legend Belva Davis is still inspiring people. As a pioneering television journalist, she forever changed the face of TV news. 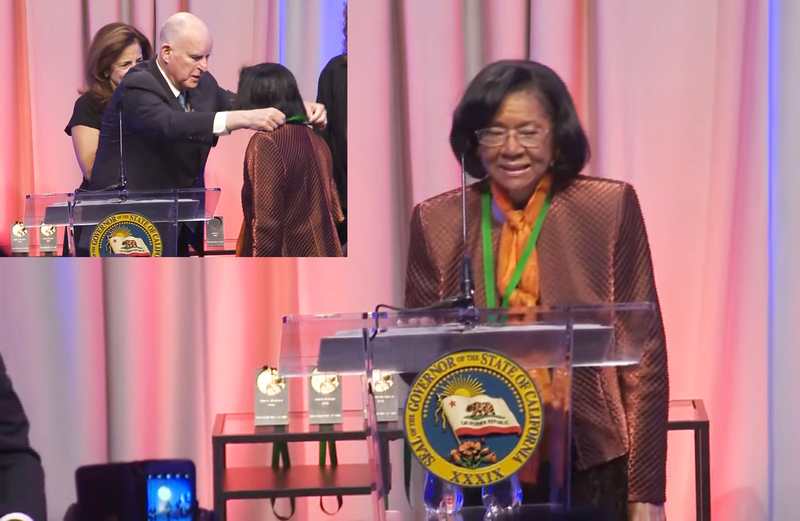 On December 4, 2018, Governor Jerry Brown inducted Davis into the California Hall of Fame. 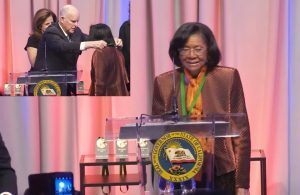 “Belva Davis was my role model,” said former KCRA Photographer and Feature Reporter Adrian Woodfork. “I started on the floor in 1970.” Woodfork was the first African American to work in TV news in the Sacramento market. 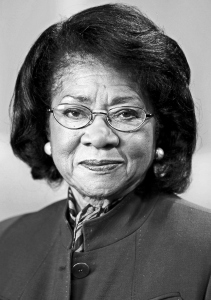 “Not only was Belva an African American, she was a woman,” said Woodfork. “Because of her, I felt my chance of climbing the mountain to success was not necessarily out of the question.” From the floor, Woodfork became a news photographer and feature reporter/host of the Channel 3 black magazine show, To Be Somebody. It aired for 18-years in prime time. No question Davis led the way in making TV all-inclusive. Born during the Great Depression, Davis was raised in the projects of Oakland. She overcame the odds, defied racism and sexism and is hailed as one of the most respected local journalists in the country. A freelance writing job in 1957 for Jet Magazine had Davis focusing on issues impacting the African American community. More print journalism, some radio and then in 1966, she was hired by KPIX TV news. Davis trained herself for reporting and anchoring by reading news copy in front of a mirror. She beat out sixty other applicants and set a new standard for equality. “I knew there was hope in the broadcast field for me when I saw Belva Davis in an anchor position on Channel 5 in San Francisco,” said Woodfork. “That, in spite of the fact that there were no African Americans on the air in Sacramento at the time.” Woodfork worked at KCRA for nearly twenty years before leaving the industry. Davis retired in 2012 after anchoring/reporting jobs at KTVU, KPIX, KRON and San Francisco public television station KQED. Davis covered a myriad of high profile stories including the Black Panther Party, Peoples Temple and Jonestown, onset of the AIDS pandemic, and assassinations of San Francisco Mayor George Moscone and Supervisor Harvey Milk. 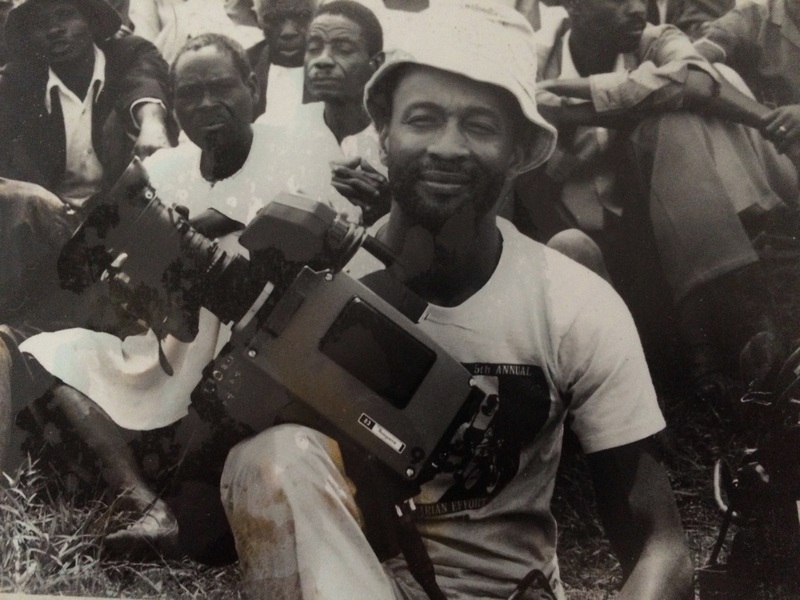 Fighting for equality, Davis also has been inducted into the National Association of Black Journalists Hall of Fame and has received a Lifetime Achievement Award – the Governors’ Award – from NATAS, Northern California Chapter. Her work earned her eight regional Emmy® Awards. Davis wrote a memoir about her life that was published in 2011. It’s entitled, Never in My Wildest Dreams: A Black Woman’s Life in Journalism. The California Hall of Fame is the California Museum’s annual gala. Davis is in Class 12. Other inductees in her class include Musician Joan Baez and Hollywood Icon and Environmentalist Robert Redford. There are now more than a hundred people in the Hall of Fame. Many of them star-studded names like Dave Brubeck, Robert Downey, Jr., Steven Spielberg, Elizabeth Taylor and Lucille Ball.